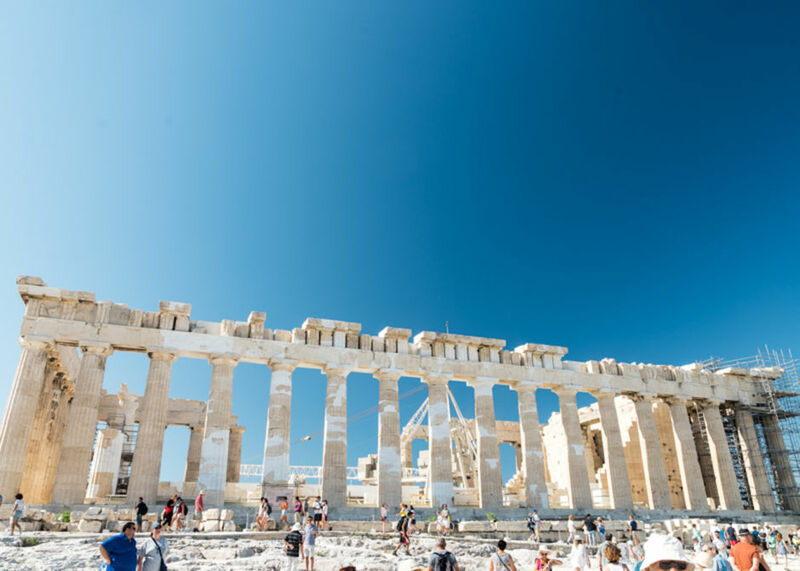 Athens has gone through economic strife in recent years, but the difficulties have only served to strengthen the spirit, and encourage the creativity of Athenians. 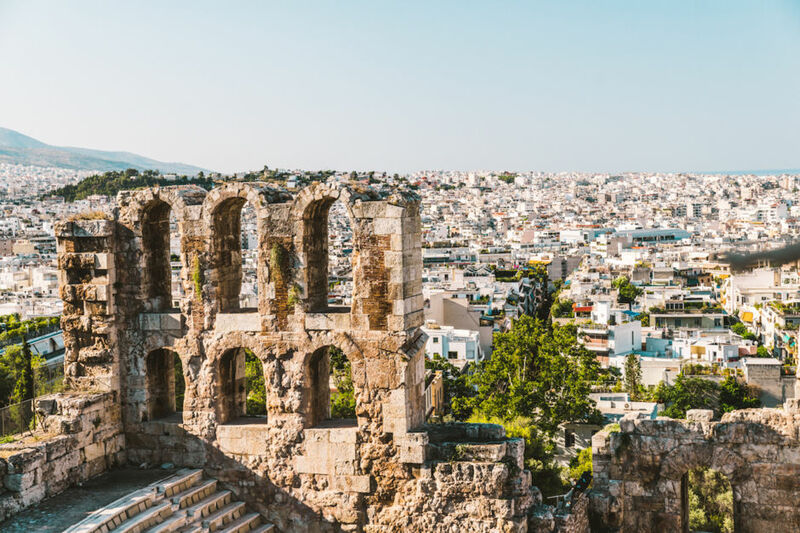 With its booming food scene and its rich history, Athens is seeing a second awakening in the cultural world of travel. For more couple travel advice, follow Collette and Scott at Roamaroo. The Acropolis is an ancient citadel built on top of a hill in Athens. 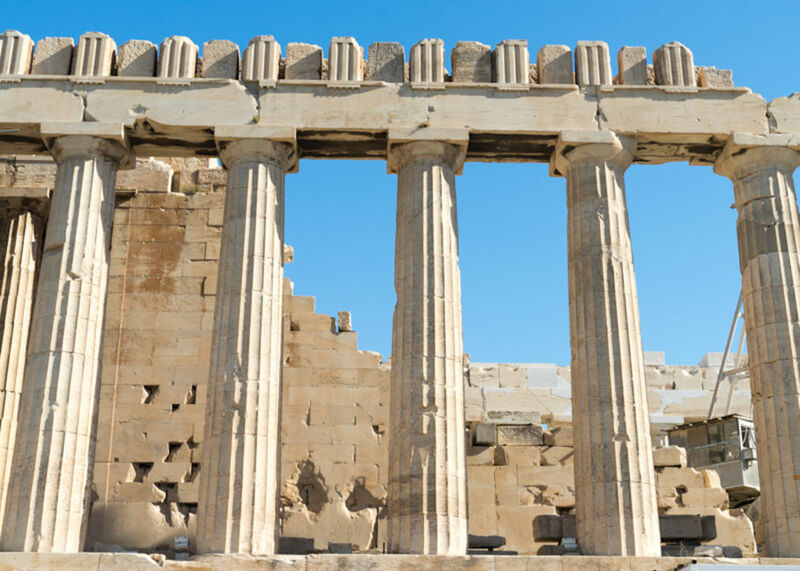 Built in the 5th century BC, the Acropolis embodies the spirit of the early Greek civilization. 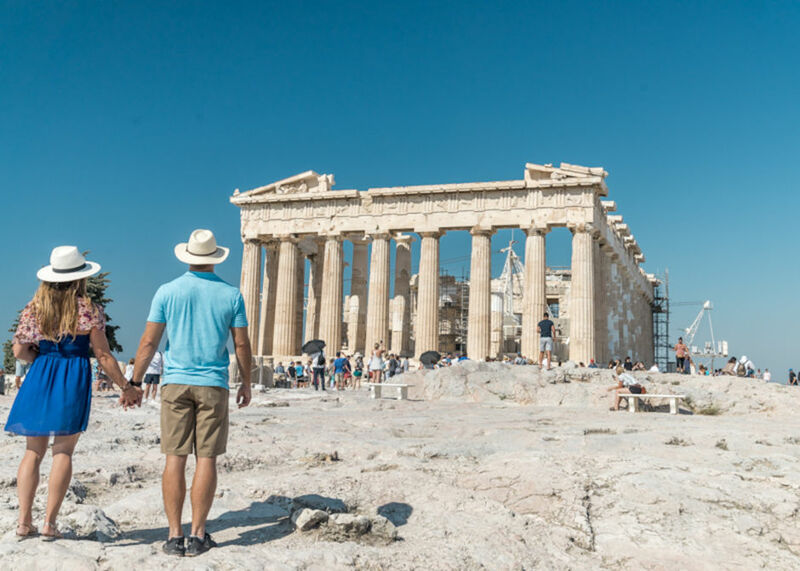 The Acropolis is home to various monuments including the Nike temple and the Parthenon, monuments dedicated to ancient Greek goddesses. 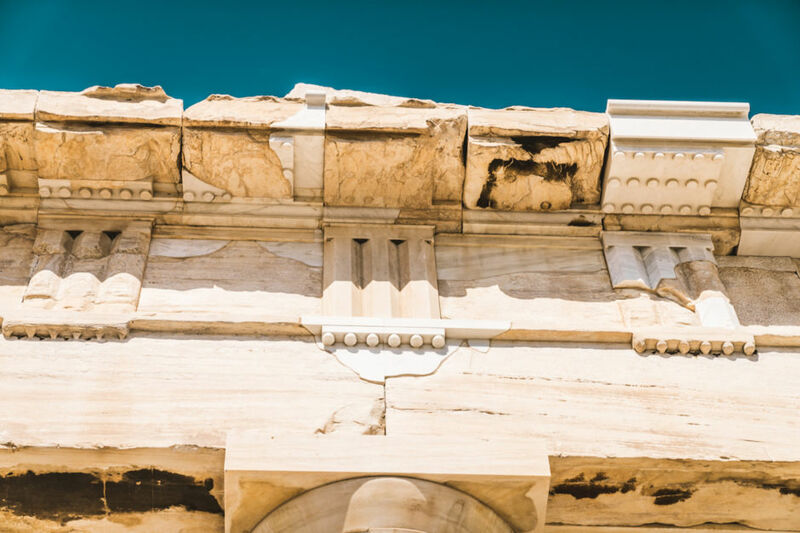 The perfectly sculpted architecture of the Acropolis speaks to the intelligence of ancient Athens. 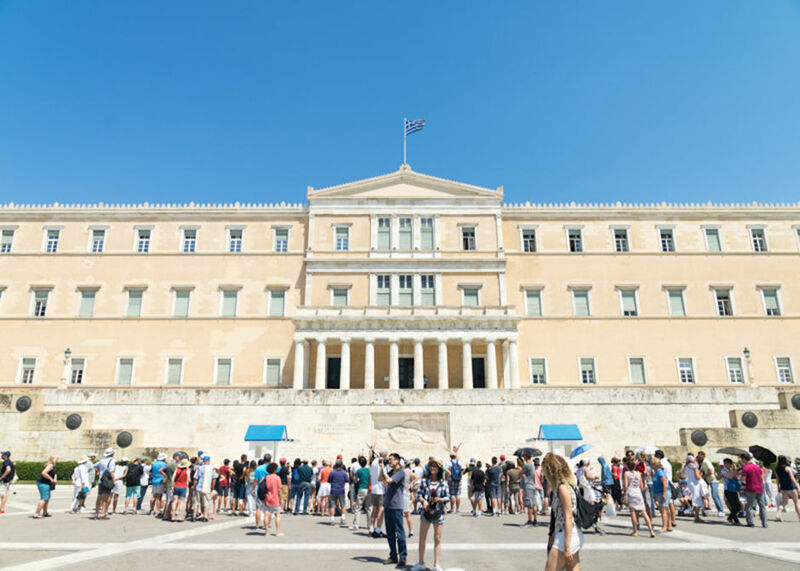 The Hellenic Parliament building is located in Syntagma Square and represents democracy. Originally constructed in the 1800’s, this government building is still used in present-day politics. 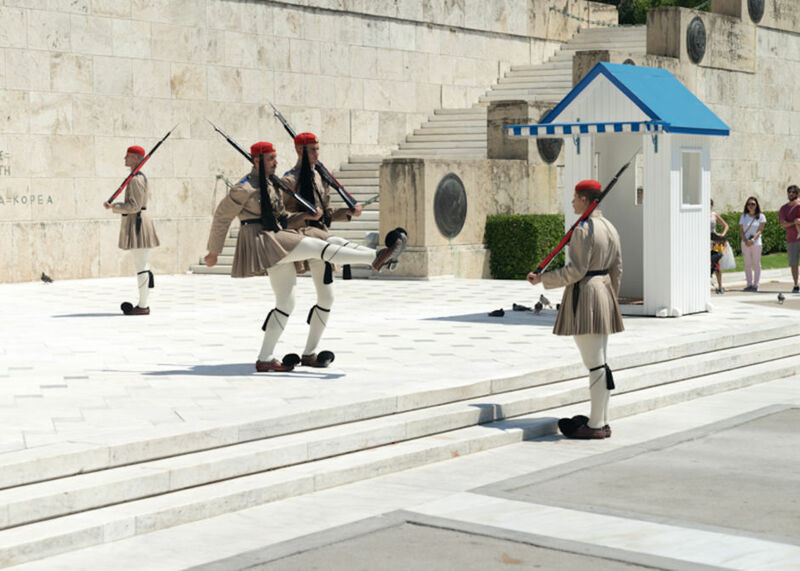 Every Sunday morning at 11 am, visitors and locals gather in Syntagma Square to witness the changing of the guards. These guards protect the Monument of the Unknown Soldier. 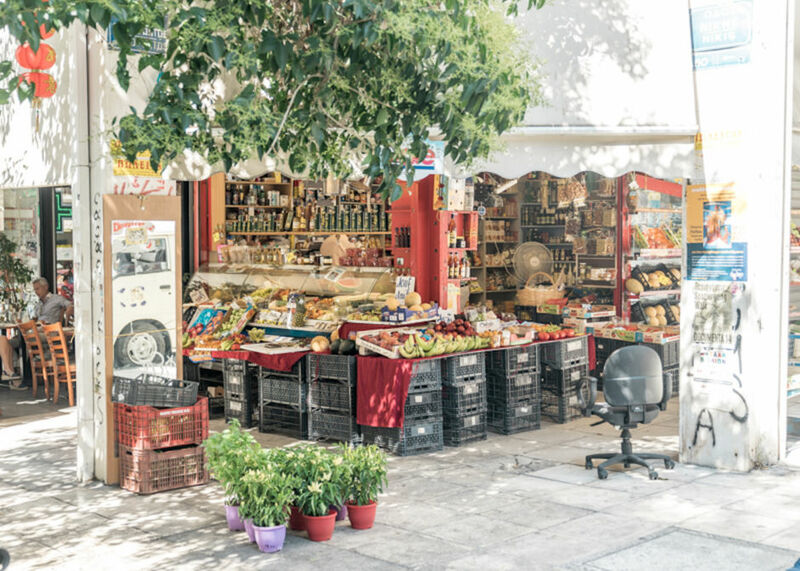 There are tons of beautiful markets all around Athens, each of these contributing to the picturesque nature of the city. 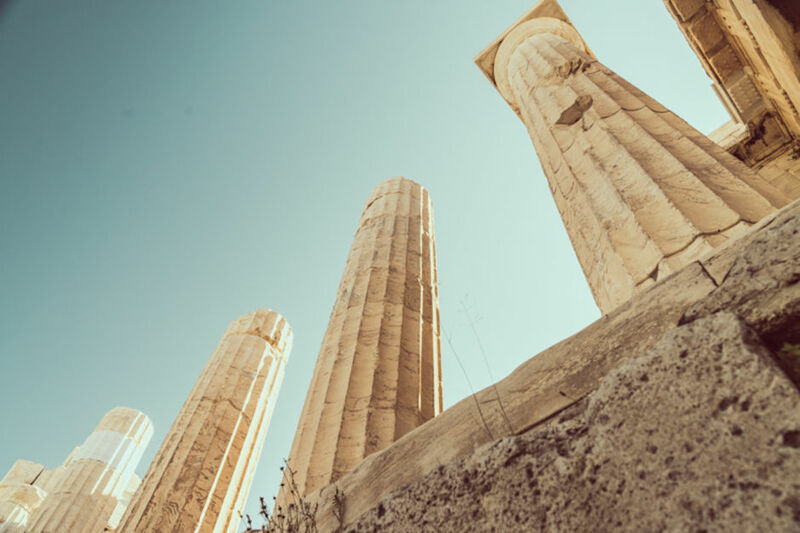 The Parthenon is an ancient temple dedicated to the goddess Athena, who represents the city of Athens -- and is the goddess of wisdom, courage, and inspiration. 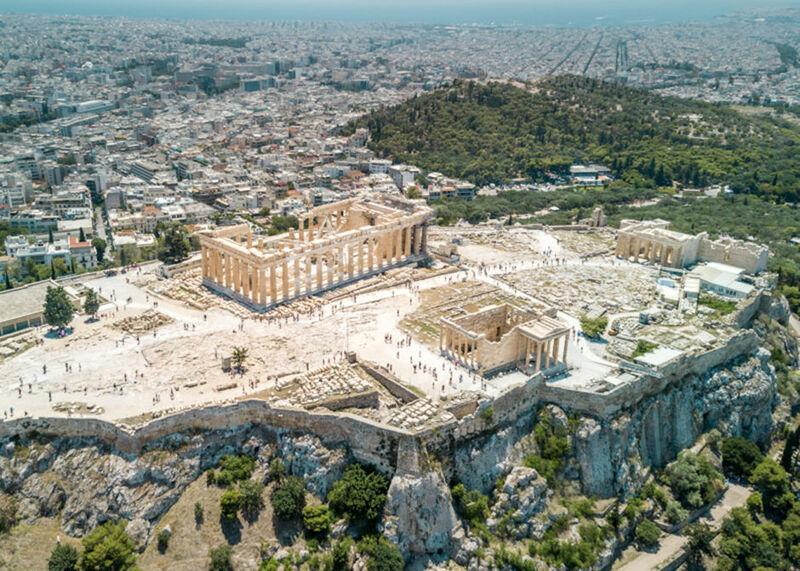 The Parthenon is the largest temple at the Acropolis. These Doric columns have been standing here for almost 2,500 years. 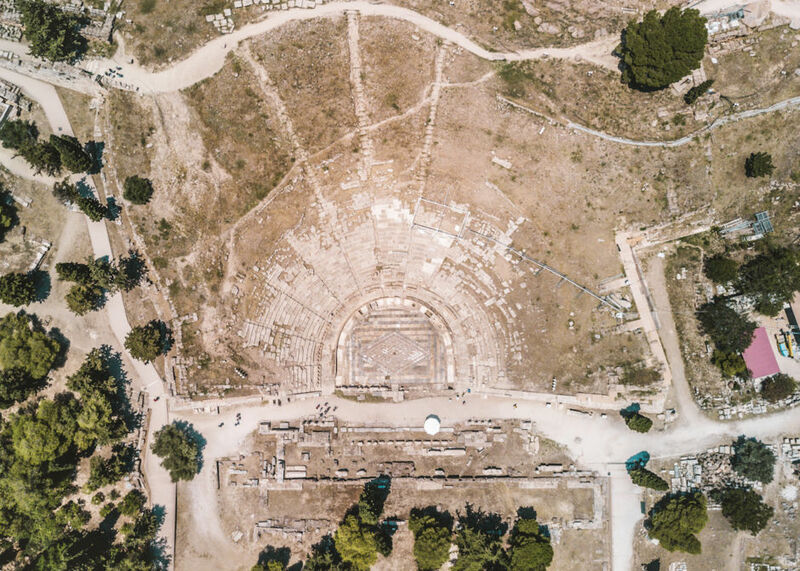 The Theatre of Dionysus is just at the foot of the Acropolis in Athens. Although this structure dates from the 4th century BC, the setting was used as a public theatre even before that. The view of Athens from atop the hill of the Acropolis. The capital of Greece has a population of over 3 million people today, and its main industries are tourism, agriculture, and mining. A close-up of the Acropolis reveals that perhaps the Greeks were, in fact, the inventors of the Lego. The Plaka neighborhood in Athens is known as the old historical district. 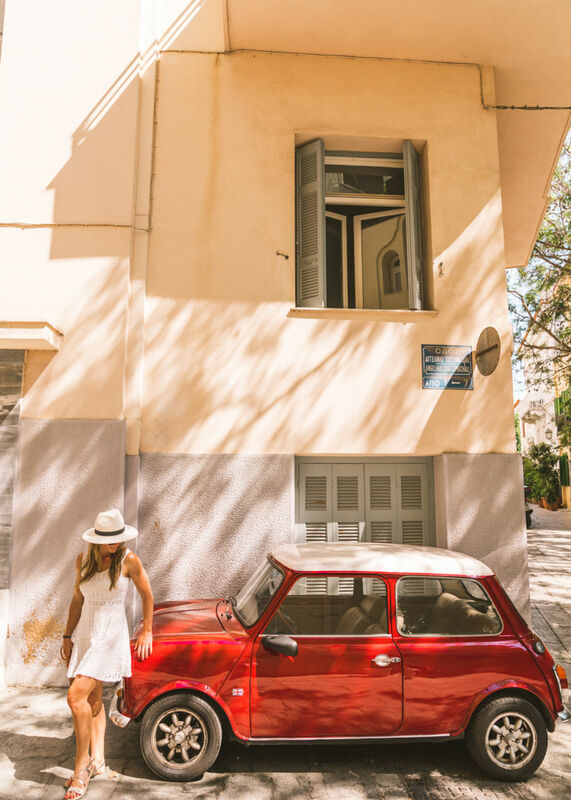 While it's located in the most populated city in Greece, its pedestrian streets, and cobblestone roads give it a charming, village-like quality.